I'm feeling very thankful these days for my girls and my husband, and for adobe illustrator! I'm learning to use this software now, and it's just making me all kinds of happy. My pdfs will be much prettier from now on, and smaller files, too. That should make you happy, too! And here's another something to be happy about. Thanksgiving cards to make and color with the kids. 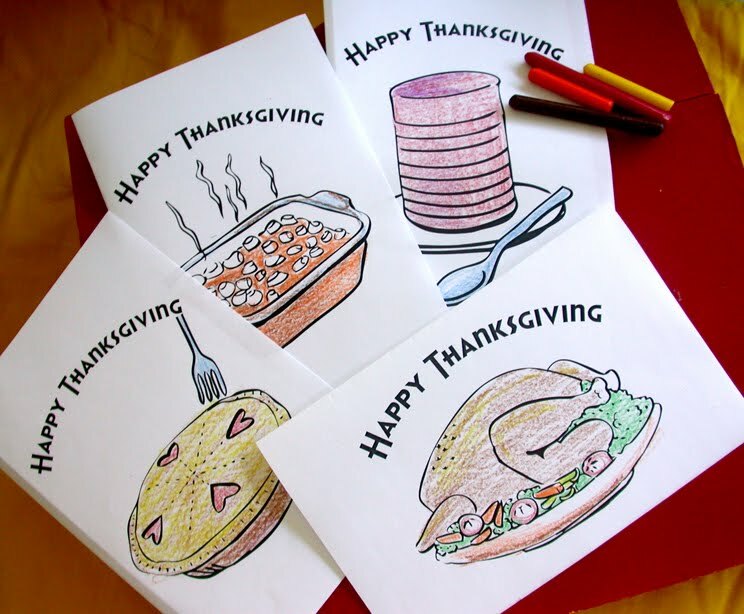 This pretty little pdf has four cards: a roasted turkey, a dish of sweet potatoes, a can of cranberry sauce (which some people seem to prefer over homemade - go figure), and a cherry pie. Update: Cards have been updated and can now be found in my shop. 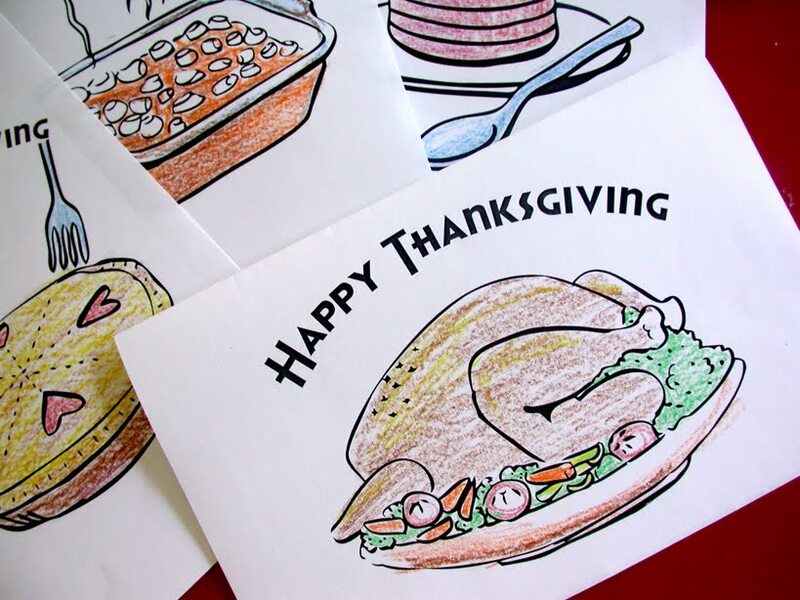 I thought it would be fun to talk about being thankful while we color, and give them to our Thanksgiving hosts this year. 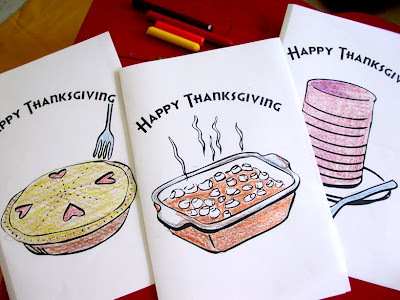 Color and fold the pages in half, and write a note of Thanks! on the inside. I grew up in a family where most things were made from scratch, but Mom always got the canned cranberry sauce (probably because she didn't like cranberry sauce). It simply never occurred to me that you could MAKE it. LOVE the cranberry sauce!!! Thanks so much for these, I'll be linking.